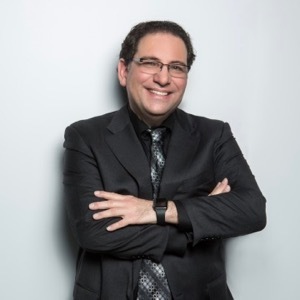 Kevin Mitnick is the world’s most famous hacker, bestselling author, and the top cybersecurity keynote speaker. He was the most elusive computer break-in artist in history. Once one of the FBI’s Most Wanted, because he went on an ‘electronic joyride’ during which he hacked into more than 40 major corporations just for the challenge and not for monetary gain, Kevin is now a trusted security consultant to the Fortune 500 and governments worldwide. Kevin is a global bestselling author and his books are available in over 50 countries and 20 languages. He is the world authority on social engineering. His works include The Art of Intrusion: The Real Story Behind the Exploits of Hackers, Intruders and Deceivers and The Art of Deception: Controlling the Human Element of Security, which are mandatory readings for security professionals. His autobiography, Ghost in the Wires: My Adventures as the World’s Most Wanted Hacker is a New York Times bestseller and his latest work released in 2017 is The Art of Invisibility: The World’s Most Famous Hacker Teaches You How to Be Safe in the Age of Big Brother and Big Data, a ground-breaking book on privacy. He has been a commentator, security analyst, or interview subject for almost every major news outlet around the globe. Kevin has also been the subject of movies, books, and countless articles.